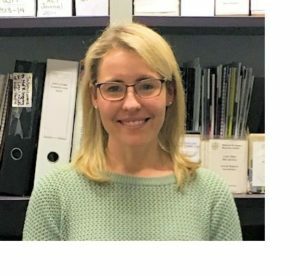 In this issue the Centre welcomes our new UNSW School of Law Social Justice summer intern, Alyce Kliese. Alyce is in the final stages of the Juris Doctor, and will be completing her degree over summer. She previously had a career in civil engineering and was involved in the construction of residential, industrial and commercial developments in South-West Sydney. More recently, Alyce has been employed as a teacher and mentor for the University of New South Wales as she completes her studies. This has included work with the Indigenous Tuition Program to improve the educational outcomes of Indigenous people in higher education, and also work with Disability Support Services to assist students with disabilities. Alyce will begin a graduate role with King & Wood Mallesons in the New Year. Having previously interned at the Shopfront Youth Legal Centre, Alyce has joined the Centre with a view to developing a better understanding of the challenges and everyday operations of policy-based legal roles. In particular, she is interested in learning about how advocacy can create tangible differences for socially disadvantaged and marginalised persons. She would also like to consider how new approaches and innovative service delivery solutions can ease the pressures faced by Pro Bono service providers. Alyce is looking forward to using her experience at the Centre to support her delivery of pro bono legal services in the future.